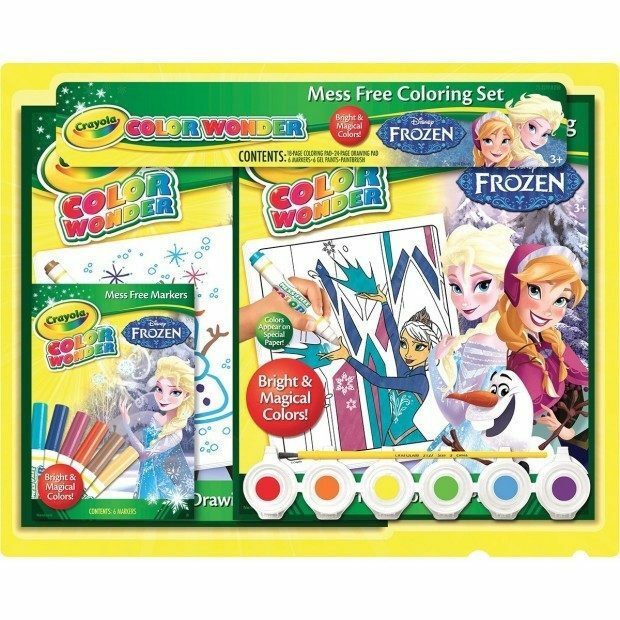 Crayola Frozen Color Wonder Activity Gift Set Was $22 Now Only $13.47! You are here: Home / Great Deals / Amazon Deals / Crayola Frozen Color Wonder Activity Gift Set Was $22 Now Only $13.47! Head over to Amazon and order this Crayola Frozen Color Wonder Activity Gift Set Was $22 Now Only $13.47! Shipping is FREE on orders of $35+ or if you have Prime! Don’t have Prime? Try a 30 day FREE trial! Great Gift able – all you need in 1 set!